A common reason for not getting ranked in search engines is your keyword/keyword phrase is highly competitive. This is especially true if a site is new and has not had time to acquire links. When people search – most click on the first handful of results. Look at the sites on the first page of any popular search engine.Now look at their backlinks – are they optimized? Do they have a high page rank? Are they an authority websites? – If the answer is ‘YES’, it will not be an easy task. Instead of taking on that large of a task – maybe you need to look at less competitive keywords instead. This is why we created the free seo test – see what is working and what is not. We can run a quick test and then a larger one later – if necessary. Our reliable seo professionals will analyze and suggest the best way to improve. HTML is finicky – many sites have HTML warnings or mistakes, some are worse than others. So don’t feel you need to begin correcting all the errors on your site from the first to the last. Most errors will not cause search engines to stop crawling, BUT, HTML errors can stop them in their tracks – and this is BAD. To find out if this is a problem, make sure your website’s HTML is verified. 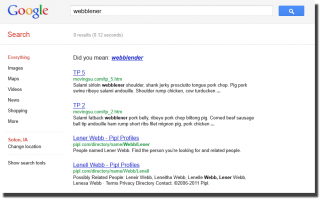 Google has a free tool called “Webmaster Tools” you can use to determine this. It will help you detect if there are crawling errors and show you. Once you have identified the problem, you can fix it immediately. Another common reason for not being ranked is failure to optimize your website for any keyword. When building your site, you need to take your time and decide what key words to target and also make certain that these key words are incorporated on your page, title tags and meta description. Each page can only be optimized for one keyword/keyword phrase. If you have not done this yet, you need to do so as soon as you can – this is VERY important. Use our seo checkng tool on this page to help you. The number and quality of backlinks to your site is a large part in determining where you rank in a search engines result page. If you aren’t ranking for your keywords, open Google and try your keyword in the search box (without quotes) – then note the first 6 results. Go to a tool used for checking backlinks and check the number of backlinks these sites contain. Compare the results to your own website. This should give you an idea of the number of backlinks that you need to add to get to the top and that is if your other site work in in order. 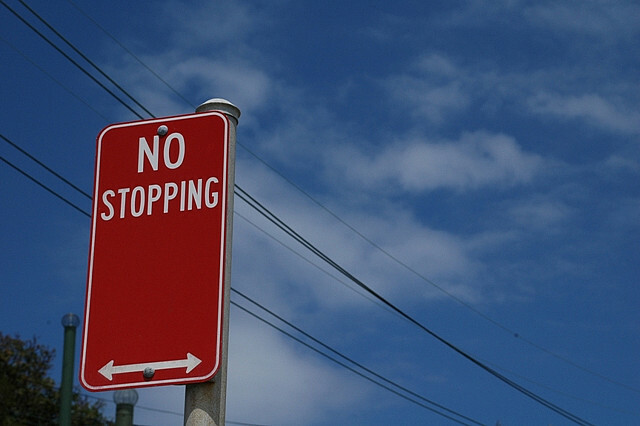 Give your site enough time; search rankings don’t happen overnight. The newer your site is the longer you will have to wait to achieve a top ranking. Some refer to this as the “Google Sandbox” – it can be 90 days or more until search engines deem you ready. And, the more competitive the target keywords are, the longer you will have to wait to appear at the top. Monitor your progress over time by observing your links and your ranking then comparing this to high ranking websites – record the or use a tool to check them. This will enable you to ensure you are on the right path. Google has rules – not all website ownsers or SEO “experts” follow them. This will cause you much trouble. Many website owners today are having trouble with Google and their sites cannot perform well as required due to this. The following may be some reasons you are at odds with the Google, preventing your site from ranking high. Does it makes sense when you read your website’s content – would others find it interesting? If your site contains spam links, hidden texts or keywords, gibberish or scrapped content you might have trouble with Google. This is a serious offense that could get you a pure spam penalty. It might not be your fault for having gibberish content on your website as sometimes site visitors leave these in form of comment but there are web tools that can be used to wipe them out for instance word filters. You need to know – and if you don’t read your content, why should others? It sounds better than it is – just a couple more mentions of that keyword. 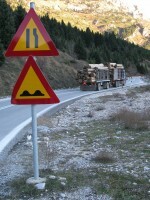 Don’t do it – it is common to do these blunders, maybe unknowingly. You may think it is a fast track to great SEO. Don’t think Google is not aware of this tactic. Common ways in which site owners blunder are incorporating multiple versions of keywords into meta data, hiding content on pages using cascading style sheets or adding many keywords to image alt tags. To avoid these costly mistakes, it is imperative that you check your on-page SEO and make sure your are giving what Google expects of websites. Another problem – content theft is common practice on the internet these days. It is quite unfortunate that many legitimate sites have fallen victims to these malicious individuals and ended up being penalized without actually engaging in black-hat ranking techniques. You might have trouble with Google just because somebody stole your content which is quite unfortunate! Hacking is another serious threat that is even harder to evade. Sites that are prone to hacking in most cases have concealed malware which is not still noticeable on the back-end coding. The best way to avoid trouble is to always check your site for any vulnerability using various tools that are available. SEO Test: Do same IP links have equal link juice in Google results? We have some results…it appears that same IP address links are under the watch of the Big G and we need to be careful – here is the results page showing that Destination 2 was ranking the highest, then Dest 3 followed by Destination 1, which had two links from the same IP pointing back to it. We try to test out SEO concepts from time to time, if you want to get an email when we do…sign up here. We have been building some greats tests, and have enjoyed executing them. One SEO Test we have been wanting to run is around the relm of backlinks coming into a site from the same IP address. Some people say that Google is watching those and it will cut down on the link juice – others disagree and call BS. There is only one way to find out…lets seo test it. 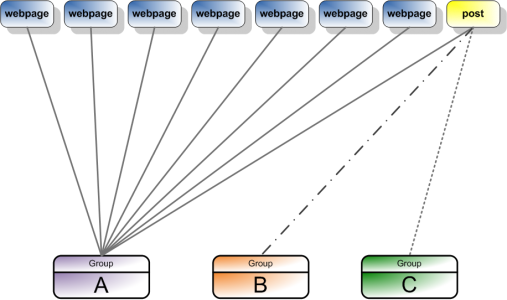 Link two sites from the same IP to a third site, once we will link both site 1 and site 2 to the same page, then again to two separate pages. See if Google penalizes the page which receives a link from two same IP address sites. 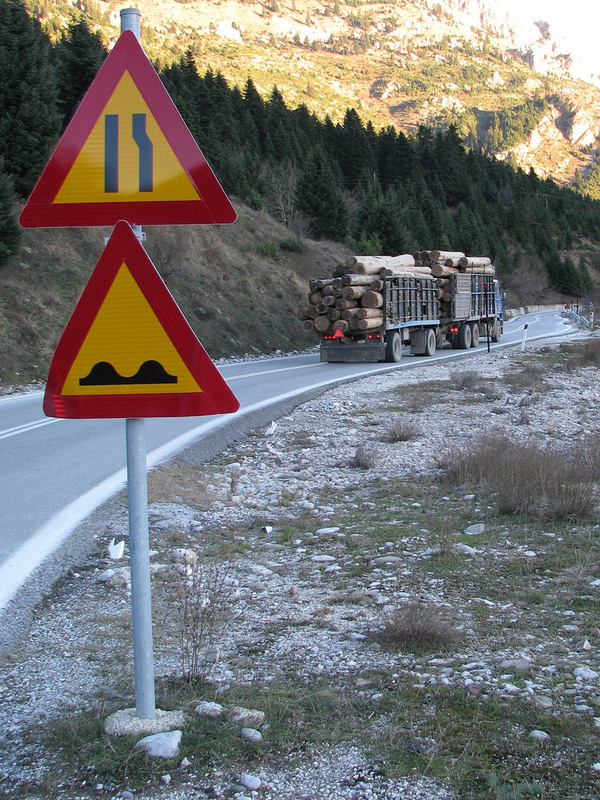 As you can see in the picture to the right, we have built two links from soloniowa.com to our destination site – blog.uscargocontrol.com. One to Dest 1 and one to Dest 2. 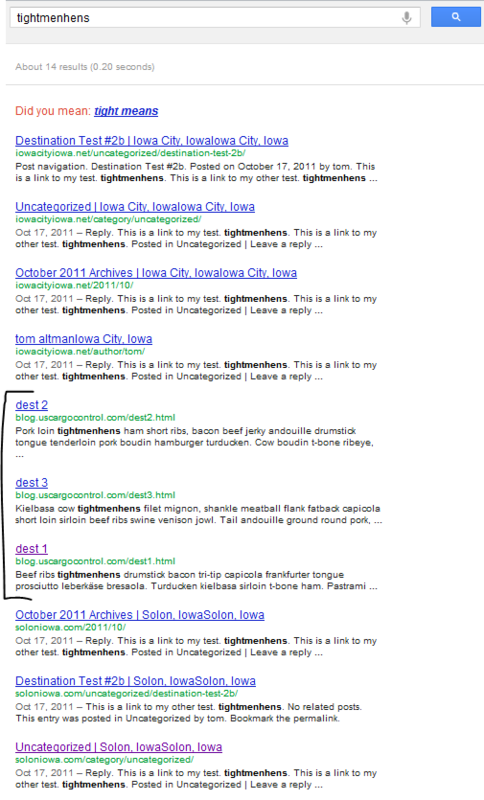 We did the same thing with iowacityiowa.net – but its second link goes to Desc 3 on our target site. So – to come up a lot is if you can have a number of sites on the same IP address and have the links from those sites “count” in building good backlinks. This is especially important to me as I like to setup websites under a parent site in WordPress MultiSite. this one sets out to determine if links from the same IP address carry the same weight as links from different IP addresses. /wp-content/uploads/2015/03/logo_tom_altman_small.png 0 0 tom /wp-content/uploads/2015/03/logo_tom_altman_small.png tom2012-01-08 18:54:592012-07-11 08:31:51SEO Test: Do same IP links have equal link juice in Google results? In order to get your sight found and raised up in the search rankings you need to have quality inbound links pointing to your pages (Google ranks pages, not websites). You want to get inbound links from quality sites and not just any site. You don’t want to have inbound links coming from a spam site with poor content and dozens of links on one page. You want to look for sites that have a PR (page rank) of 3 and above and you should go through the site carefully and make sure they have quality content that’s targeted to their readers and would be relevant to your website. Quality inbound links using the right anchor text, with the right keyword phrase in that link and pointing to your pages, will build the page rank and reputation for your site. An important thing you’ll want to do is to diversify your inbound link program. You don’t want to have all of your links coming from one source. The search engines can detect when you have one source of links and it can be interpreted that you’re trying to trick them. Make sure you diversify your link building across different platforms. So here are 5 Different Steps to Build Your Inbound Links. You can do a search using a keyword phrase in Google plus the word Forum and it will show search results for forums that are related to your site or niche. When you find the forums, sign up, join the community and conversations and leave comments. When you do this you want to have a link in your signature file which includes your website, name and other important information about you. Please note that some forums can be a little touchy with this because they want sincerity in their users. Some forums will not allow you to have a link back to your website until you’ve been a member and participated in the interaction of the forum. So make sure you read the TOS (terms of service) carefully. Blogs are another way of getting inbound links. If you do a search with a keyword phrase related to your site concept plus the word Blog, you’ll find blogs that are relevant to your niche. Just like forums, you go into the blogs, read the post and leave a valuable comment. Again, this is another opportunity to leave your name, email and website address. Social media sites such as Twitter and Facebook are another great way to get inbound links. With Facebook, you can create a “Fan Page” and post links back to your website. This is not something that search engines give a lot of credit to but they do see those links and you can get other people talking about you in the social media sites and that creates a buzz. Other people will start posting links to your website from their page or website. Yahoo Answers is a great way to get inbound links back to your site. Some of the Yahoo Answers pages are actually ranked in the search engines if they’re relevant to the search query. So go into the Yahoo Answers and do a search with your keyword phrase and see if questions are being asked that you can give a valuable answer to. Answer the question and leave your website or URL. You have a lot of website publishers out there who are looking for great quality content that would be of value to their readers. You can do a search with your keyword plus Guest Blogger and find some great blogs that are related to your site. Then you would send an email inquiring if they are looking for writers. Most of the time you will see on their site “Write For Us”, “Wanna Guest Blog?” or “Submit Your Article” and that makes the approach a little easier because you know they’re welcoming content. Once you’ve found a taker, make sure you include 2-3 links in your article linking back to your site (homepage, category or product page…etc.). Remember to make sure the websites you approach are of quality. Google gives credence to quality blogs. Doing these 5 simple strategies will help you jump-start your link building and you’ll easily see the results within a few months. It depends on how aggressive you choose to be. Remember, good things take time and it doesn’t sit well with the search engines to start something with intensity and then let up. I would suggest a steady consistent schedule of doing these 5 strategies for the best results. Juliette, along with her husband Robert Samuel are successful Internet marketers and students of the industry. Their business is based on the fundamentals of Selling Online where they specialize in Marketing Strategies for Businesses in the Beauty Industry. SEO Test: Do subdomains have more link juice than regular domains? Another SEO Test for you…this time we are trying to determine, do subdomains have more link juice than regular domains? This is a great question to ponder as brands setup blogs for their main site. Is it better to go get a separate domain for that blog – or use the old “blogs.” subdomain? 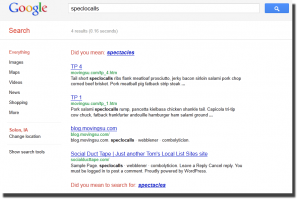 Create 3 “invented” keywords – speclocalls, webblener and combolyticion. These are used to test our theories – they will be used on both the domain and the sub-domain. To point to pages we also created. Build a backlink page (page 7) – it will be used to ensure these domains get indexed. Our test sites are new and we wanted to fast forward the test…this will do that equally. We have conclusive evidence that it does indeed help rankings to link to your site from a subdomain. This is very interesting and gives us proof that using sub domains is likely a good thing. Notice our sub-domain pages 4, 5 & 6 all did better than the “regular” domain did in all tests. As you can see – in all 3 examples the sub-domain won. Pretty interesting. What does it prove – it certainly seems that the best way to link to a site; or the best place to setup a site-complimenting blog is the sub-domain. Just to make sure we’re happy with these results, we’re going to see if it is a parent/sub-domain thing; or if a subdomain from another, higher ranking parent domain will win. Look for results soon. https://tomaltman.com/wp-content/uploads/2011/12/domain_vs_subdomain_linking_test.gif 690 943 tom /wp-content/uploads/2015/03/logo_tom_altman_small.png tom2011-12-13 08:00:412012-03-05 21:44:15SEO Test: Do subdomains have more link juice than regular domains? 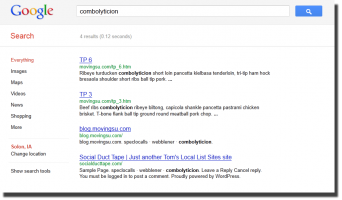 SEO Test: Does Google pass PageRank to a URL in a comment? Does Google pass PageRank to a URL in a comment just as though the URL were a link? Generate 7 nonsense words (make sure there are no results in Google for each word). Create 6 pages. Each page uses 1 nonsense keyword for the URL. All pages use the 7th keyword (and only the 7th keyword) in the title (and only in the title). For the six pages, generate 5 random sentences (to lessen the likelihood of duplicate content issues). Group C: add a “real” link to these pages from this post. All webpages will link to Group A, only this post will link to Group B and Group C will have "real" links pointing to it from the post. So, we will see if Google will pass PageRank to a URL in a comment, check back to see how this works – add predictions to the comments. https://tomaltman.com/wp-content/uploads/2011/10/353671099_b2dbc28877_z.jpg 426 640 tom /wp-content/uploads/2015/03/logo_tom_altman_small.png tom2011-10-03 09:25:182012-03-05 21:44:32SEO Test: Does Google pass PageRank to a URL in a comment? In today’s world everyone has a website. Whether it’s a business, organization or individual, the Internet has made it possible for users to sell products, share information and express themselves on their own webpage. Whereas it’s more accessible and easier to create a website, it’s harder to generate visitors due to the fact that there’s a high volume of competition. By following these quick and simple tips, you’ll be able to have a website that stands out amongst your competition. To start, the core of your website should center on keywords. Keywords are the words people use when typing into the search engine (Google, Yahoo, etc.). For example, if you’re looking for golf equipment you may want to type in “golf equipment” (golf and equipment are keywords). The search engine will then display a list of websites that sell golf equipment. If you want to make your search more specific, you would enter in “women’s golf equipment” to get a more detailed list of golf equipment specifically geared towards women. Your keywords also tell Google what your site is about since Google uses a complex algorithm to determine which sites are relevant or not. Another reason why keywords are important is that most website hosts use them. So if you’re not utilizing keywords, you’re only giving your competition more of an advantage. Quality content is always important when building your website; however, with the right keywords, your content is more likely to be seen by users. Instead of assuming what keywords are useful, it’s more effective to research and find the best keywords. The amount of traffic a keyword gets tells you how popular that word is. One easy and free program that allows you to search words is Google’s Keyword Tool. The keyword tool will give you an estimate of how many times a keyword has been searched and will propose alternative keywords that are similar. In addition, Global Monthly Searches, which is located at the bottom of the page, tells you the amount of hits a keyword gets from every country per month. If you want a more selective search, you can limit it to a particular location. The tricky aspect of keywords is making sure a keyword gets enough searches but not too much. If you select a keyword that is extremely popular, then your website will most likely have more competition. For example, if you type in “golf” into the keyword tool, you’ll see that “golf” gets over a million searches per month. When selecting a keyword, you want a word that gets around 10,000 hits per month, which equates to 300 give or take per day. As noted earlier, the Keyword Tool is a reliable source to find related keywords. As with a thesaurus, you can type in your keyword and obtain a list of similar words that might be more helpful in generating visitors to your website. We have covered what makes a keyword and how to find popular but not over-used words, now let’s see how we can obtain profitable words. You can determine if a keyword is profitable by the amount of monthly searches it generates. The more searchers a word has, the higher probability that users are looking to purchase what they’re looking for (golf clubs, golf shoes, etc.). Yahoo Overture offers advertising on Yahoo and is a great source for finding profitable words. You have to pay to advertise but you don’t have to pay to research! On their site you can enter in a keyword and see how much money they charge customers to use that keyword; the higher the cost, the more profitable the word. Once you’ve found a few high-cost words, you can take them as use them as your keywords. Along with researching the cost of a keyword, see which advertisers and affiliates are using this word. If you go to your basic search engine and type in the word, you’ll see multiple ads displayed on your page. These advertisers appear every time someone searches their keyword. Also check out ClickBank, where you can see if a word is profitable or not by counting how many affiliates are promoting that word. ClickBank’s “Gravity” tool displays how many affiliates are signed up for a product. Place your keyword(s) in the title of each page. Insert your keyword(s) in the first and last paragraph of every page with content. Place the keyword in the upper left-hand corner of the page (Google reads from left to right). Your primary keyword should be in your domain name. On each page, insert your keyword in the title, first paragraph, last paragraph and within the middle paragraphs (every other paragraph). Keyword density, expressed as a percentage should be less than 2%. A 2% keyword density means that for every 100 words, your keyword is listed twice (or that 2% of your text is your keyword). The reason you want less than 2% keyword density is that if your density is too high, Google will ignore your website thinking its spam. By using a variety of different keywords related to your website, you’ll be able to expand them more throughout your page will gaining a higher probability that visitors will find you. The last ingredient to creating a successful website is anchor text. Anchor text is a link on your page that may look like “click here” or “join now”. To maximize your keyword, include it in the anchor text, such as “click here for the best golf driver”. Anchor text is valuable to your success rate in that Google uses anchor text when determining which sites are relevant to a keyword. These tips and guidelines will give you the assistance you need in creating a website that generates visitors. The main components to remember are keyword, keyword density and anchor text. Utilize Google and Yahoo for their free and easy-access tools that will help you select the right keywords. Remember, that whereas keywords are important, they’re useless if your content lacks quality. Make sure to spend as much time and effort on your design layout and text so visitors will stay on your website and hopefully notify others about your site as well.